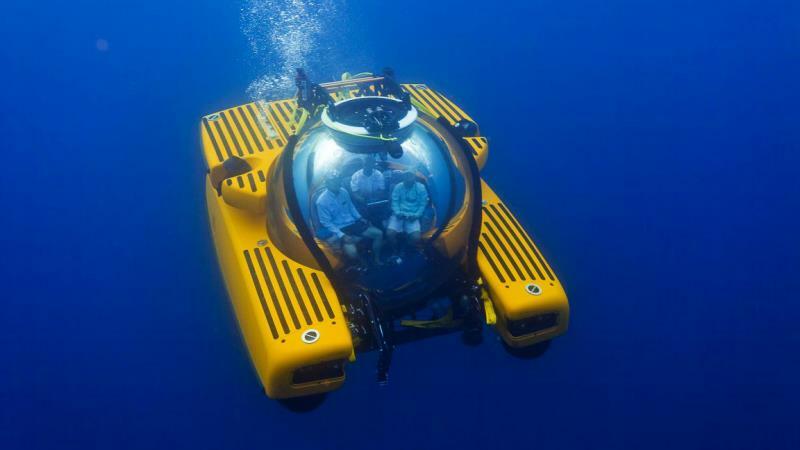 2016 Triton Submarines purchased 'Legend' & Waldorf Astoria Explorers Club Dinner. 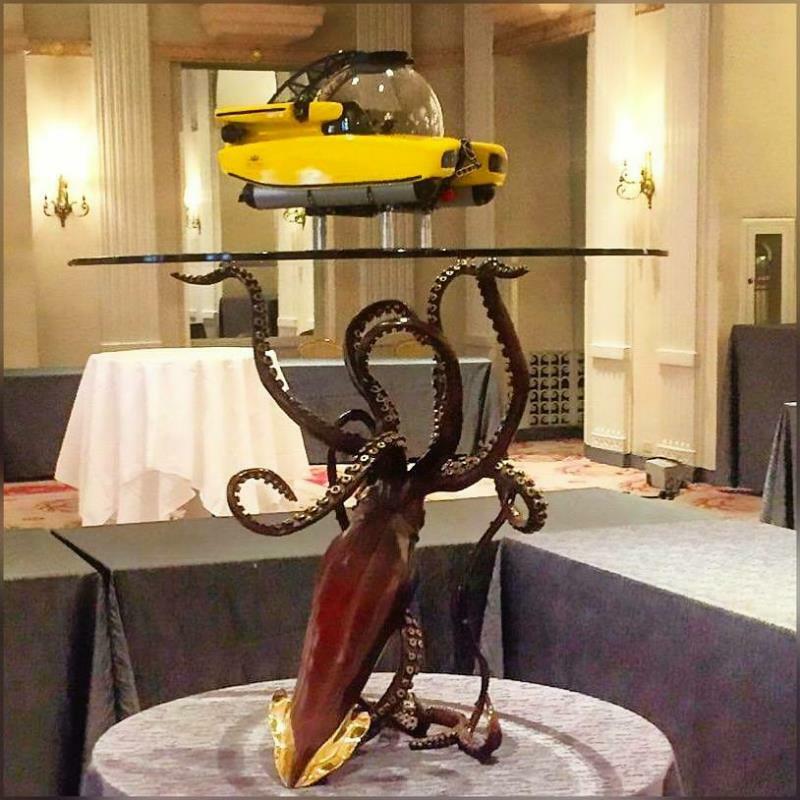 Triton Submarines LLC is using Kirk's bronze 'Legend' table to display at various functions promoting their amazing personal luxury submarines, Kirk's work as well. One of Triton Submarines was used to film a giant squid in the deepest depths of the ocean! 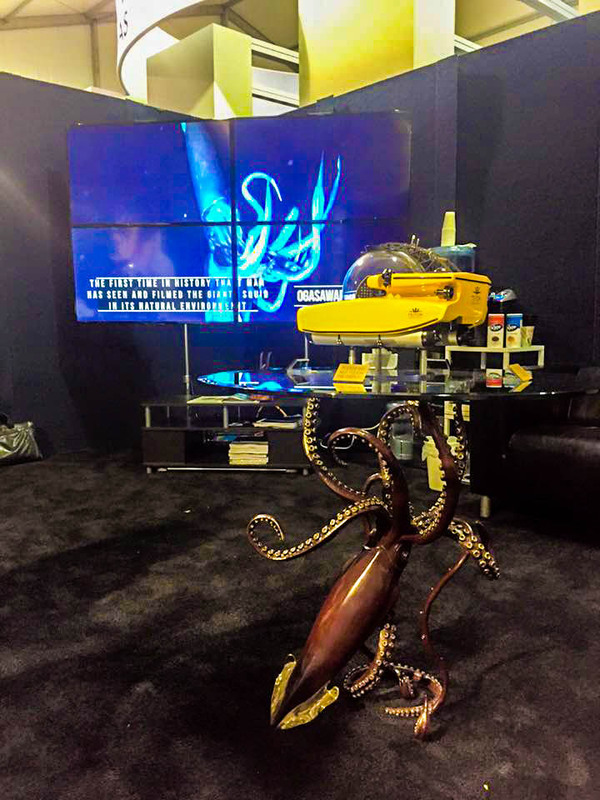 Triton has already shown Kirk's 'Legend' giant squid able at The Ft. Lauderdale International Boat Show 2016, as well 'Legend' was the centerpiece at the 2016 Explorers Club 112th Annual Dinner in New York. Triton Submarine so graciously along with the Waldorf Astoria included 'Legend' along with a scale model of Tritons 3300/3 sub that was used to locate and film a giant squid for the fist time in History! Triton has taken their Kirk McGuire 'Legend' edition by ship, to The Monaco Yacht Show 2016, in Monaco. 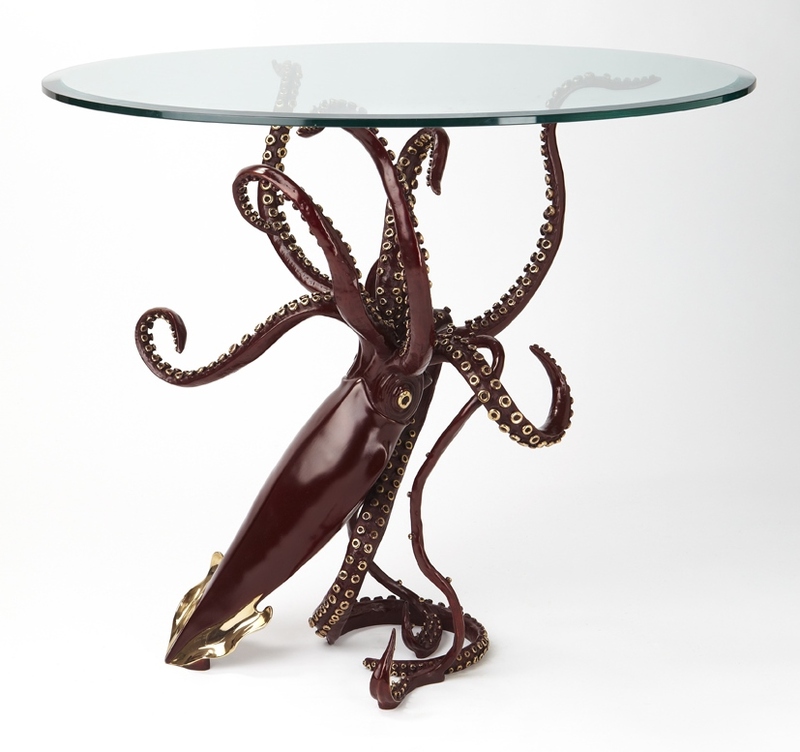 Kirk McGuire is extremely honored that he can now add Triton as a new collector of his work. 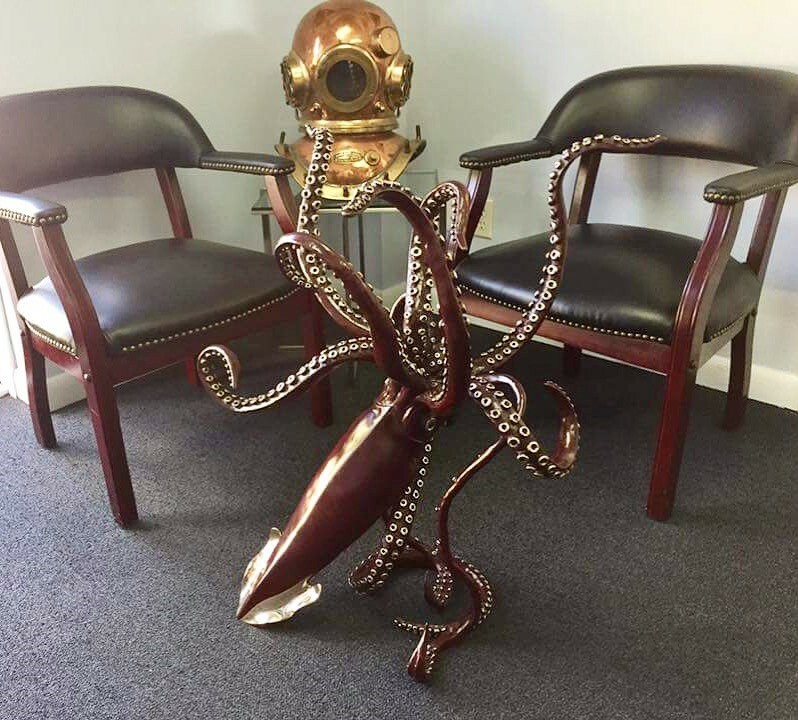 One of the reasons Kirk is so honored and proud is that Triton Submarines LLC was the very first to locate and film a giant squid for the first time in History! 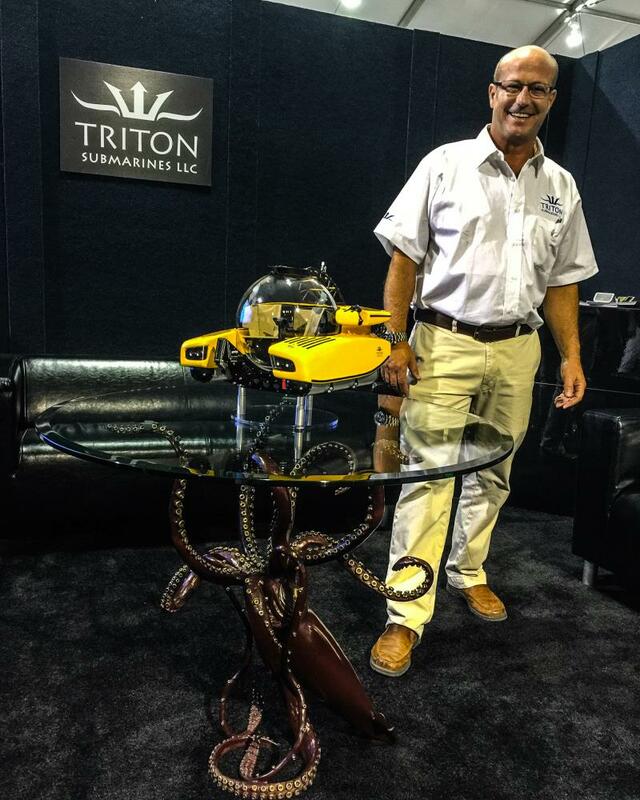 Jim Harris of Triton piloted the Triton 3300/3 sub to 3000' to locate this particular giant squid. In the sub with Jim Harris who piloted the Triton submersible for Dr. Kubodera and "Magic Man" Sugita on the dive where they filmed the Giant Squid off Chi Chi Jima, Japan. Jim Harris of Triton also piloted dives on that trip for Dr. Steve O'Shea and Dr. Edie Widder. This first time ever filming was later a featured special on the Discovery Channel titled: 'Curiosity'. Dr. Tsunemi Kubodera (窪寺 恒己) Kubodera Tsunemi, born 1951 in Nakano, Tokyo is a Japanese zoologist with the National Museum of Nature and Science. On September 30, 2004, Kubodera and his team became the first people to photograph a live giant squid in its natural habitat.Two years later, on December 4, 2006, he also managed to successfully film a live giant squid for the first time ever. On July 10, 2012, Kubodera, along with two others, become the first to film a giant squid in its natural habitat in a submersible off the Bonin Islands while being piloted in a Triton Submarine by Tritons pilot Mr. Jim Harris.